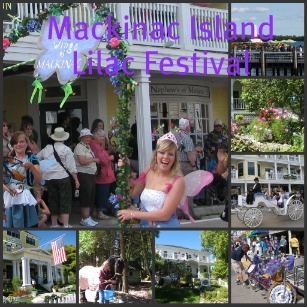 Mackinac Island Lilac Festival Is Fun, Fabulous and Festive! The annual Mackinac Island Lilac Festival began in 1949 when Evangilene Horn, Stella King and young Bill Chambers (now the Mackinac Island Carriage Tours veterinarian) decided to hold a coach drawn parade to celebrate the outstanding 60 to 150 year old lilac bushes all around the Island. This year's festival begins on June 8, 2012 and ends on Sunday, June 17 with the now famous and beloved Lilac Festival parade. On Saturday, June 9 at 9:30 a.m. plan to be running or walking in the Lilac Festival 10K Race. Click here for highlights previous Grand Parade Day, and read about the "Hot Tip" for the 2011 Parade! 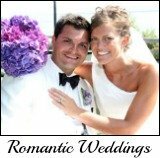 What started out as a simple one day event has blossomed into an exciting ten day celebration each June. 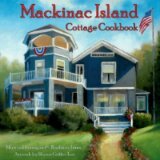 The Michigan State flower may be the apple blossom, but, on Mackinac Island the apple blossom and the rose take a back seat to the many varieties of lilacs that abound on this magical Island. 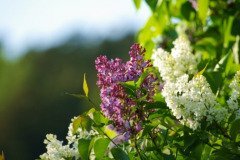 There are many Mackinac Island Lilac Festival activities on each and every day of this 10 day annual event that are fun for the whole family. Days before the Festival begins people begin getting ready for the big finale – the parade!. Floats are made, horses washed and groomed, the Lilac Festival Queen and her court are announced and people clean and iron lilac colored attire to be in the spirit of this special day. Thousands of people begin arriving on the Island with big smiles on their faces! 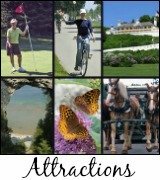 June is a beautiful time to plan a Mackinac Island vacation and a great way to start off your Michigan summer. The weather is warm, the lilacs are in bloom and a fun filled week, weekend or day awaits you! 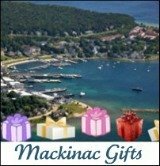 Of course, during your time on the Island, you and your family can enjoy taking off on your own and exploring Fort Mackinac, or enjoying a day of hiking or biking around the Island, having tea at the Grand Hotel, or walking up to the historic Wawashkamo Golf Club to rent clubs and enjoy a beautiful day of golfing. 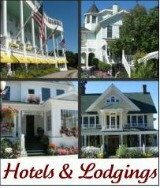 Insider Tip: But don't wait to reserve a room at one of the many Hotels or Bed and Breakfasts since the Mackinac Island Lilac Festival has become one of the most well-know lilac festivals in the United States.